"Animals" by Maroon 5 is the kind of song that guitar teachers love. We get to use a popular song to teach a concept that most songs don't use but is a necessary technique whenever you play single note lines. What is this technique? Alternate picking! Check it out in the video above. Its tough and takes some practice to get smooth, but alternate picking, using a down-pick followed by an up-pick, is a fundamental technique to master for guitar players who want to play things other than basic chord shapes. 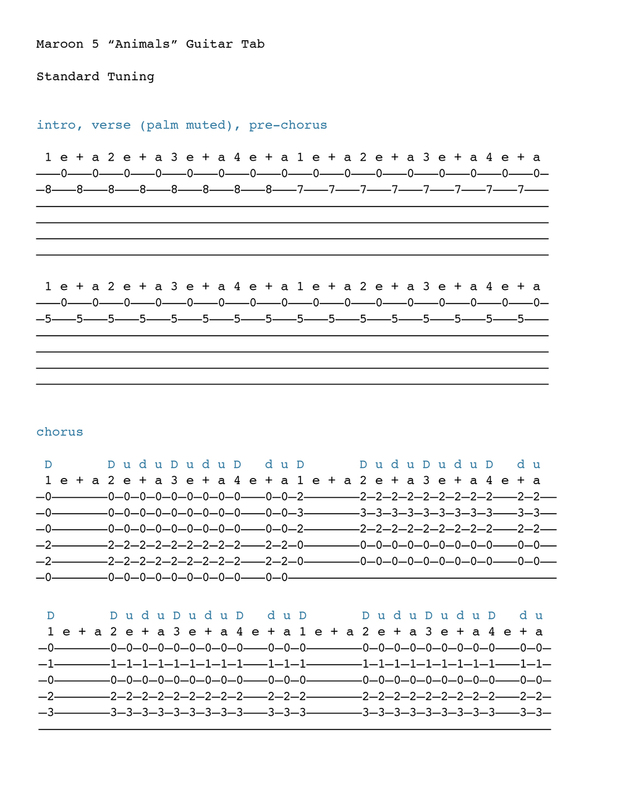 You can check out the tabs below if you need the extra visuals to get this lick down. I hope you enjoy this lesson.